HAL received the "Most Efficient Navratna 2013" award at the fifth Dalai Street Investment Journal Awards night held in New Delhi yesterday. HAL Chairman, Dr. R.K. Tyagi received the award from the jury. The awards were presented to the various PSUs in different categories in recognition of their performance and contribution to the Indian economy. Mr. T.K.A. Nair, Advisor to PM and Dr. Pritam Singh, Director General of International Management Institute, New Delhi, addressed the top executives representing Maharatna, Navratna, Miniratna, government Insurance Companies and banks. 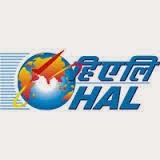 HAL has notched-up the highest ever turnover of Rs. 15,180 crores for the FY 2013-14 surpassing the previous year’s figure of Rs. 14,324 crores. “We crossed the psychological barrier of Rs. 15,000 crores and the production has been pretty good as we produced 60 aircraft and helicopters, achieved the initial operational clearance (II) of LCA and filed record 209 patents during the year", said Dr. R.K. Tyagi, Chairman, HAL. "We are preparing the company for 2020 and beyond", he added. HAL's Value of Production (VOP) for FY 2013-14, stood at Rs. 15,296 crores as against the figure of Rs. 14,202 crores of the previous year. The operating profit went up to Rs. 1,651 crores in the FY 2013-14 as against Rs. 1,194 crores in 2012-13.